Only about 800 of the estimated 20,000 gang members in the Houston area belong to the MS-13, but police consider them a top-level threat to public safety in Texas. HOUSTON — It’s the savagery that most bothers veteran police officer George Rhyne. He can't name other gangs in Houston — or anywhere else that he's aware of — that have used machetes to hack their enemies to death. For state Department of Public Safety Regional Commander Philip Duane Steen, it’s the brutality combined with the gang’s propensity for bucking one of the traditional rules adhered to by most foreign gangs: Don’t draw attention to yourself in the United States. Whatever the reasons, the Mara Salvatrucha, better known as the MS-13, has steadily risen to the top of the state’s list of notorious gangs, now considered more of a threat to Texas public safety than larger and older criminal groups including the Aryan Brotherhood, the Bandidos motorcycle club and the border-based Barrio Azteca gang. The gang's roots can be traced to 1980s California, when imprisoned Central American immigrants coalesced to protect themselves from rival Hispanic prison gangs. When the United States began aggressively deporting criminals in the 1990s, thousands of the Salvadorans were sent home, taking with them the gang culture that included recruiting vulnerable youths and convicts. The gang's savagery flourished in the aftermath of El Salvador's vicious civil war of the 1980s and early 1990s, analysts say. "Many current gang leaders grew up witnessing extreme violence in their homes and communities. Some were displaced to cities in the United States or neighboring countries (such as Costa Rica), whereas others were left behind by parents who died or fled during the conflict," Clare Ribando Seelke, a specialist in Latin American affairs for the Congressional Research Service, wrote in an August 2016 analysis. MS-13 has since evolved into a more sophisticated organization, sustaining itself through drug and human trafficking, extortion and forced recruitment. According to the 2016 Congressional Research Service analysis, some members also freelance and perform contract killings for some of Mexico’s drug cartels. Only about 800 of the estimated 20,000 gang members in the greater Houston area belong to the MS-13, according to the DPS. But the group’s notoriety is enough that the agency rates it a Tier 1 threat — the highest possible — in its annual gang threat assessment. According to the assessment, the MS-13 has a presence far beyond Houston, in places like Webb and Hidalgo counties on the border; Bexar County in South Texas; and Dallas, Denton and Tarrant counties in North Texas. The FBI believes the gang has a presence in at least 45 states. 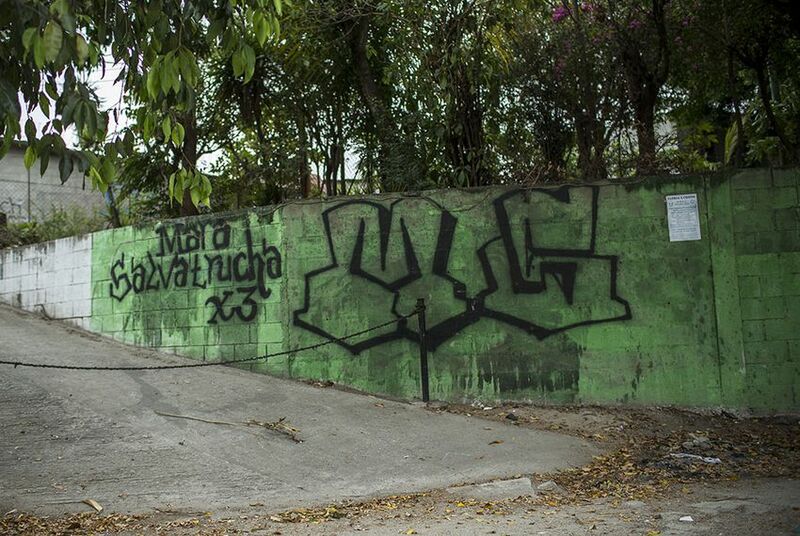 In 2015, more than 6,650 people were killed in El Salvador, mainly due to the turf war between the MS-13 and its main rival, the 18th Street Gang. The brutal tactics the gang honed in Central America have been brought to Texas, officials said. In one high-profile case, 14-year-old Jose Meraz was lured to a wooded area in Houston where Jose Granados-Guevara led a team of MS-13 members who hacked Meraz to death with a machete, the Houston Chronicle reported. The teenager was killed after refusing to murder his cousin as part of a gang tradition. Granados-Guevara was found guilty in June 2016 and sentenced to 99 years in state prison. In another instance, 16-year-old Josael Guevara, a sophomore at Houston’ Klein Forest High School, was killed in Sam Houston National Forest by MS-13 members in 2013. The Houston Chronicle reported in April 2016 that Guevara was targeted after he gave officials information about MS-13 members in El Salvador. Cristian Alexander Zamora, 24, and 20-year-old Ricardo Leonel Campos Lara, pleaded guilty to aiding and abetting a murder on federal land to avoid a federal trial that could have resulted in the pair being put to death. When he was arrested, federal immigration officials placed a detainer on Lara for being in the country illegally. He’ll even go so far as to say Mexican cartels are disciplined when compared to the Salvadorans. He cites 2013 shooting of Ann Carrizales, a police officer from Stafford, a Houston suburb, who was shot in the face and chest by an MS-13 member after she approached a car that sat idling at an intersection. Carrizales radioed in that she had been hit and was able to make it back to her cruiser and chase her attackers. The trio eventually got away were later caught. The gang’s presence in Texas can be traced to the mid-2000s, when they were part of a growing problem in Harris County. 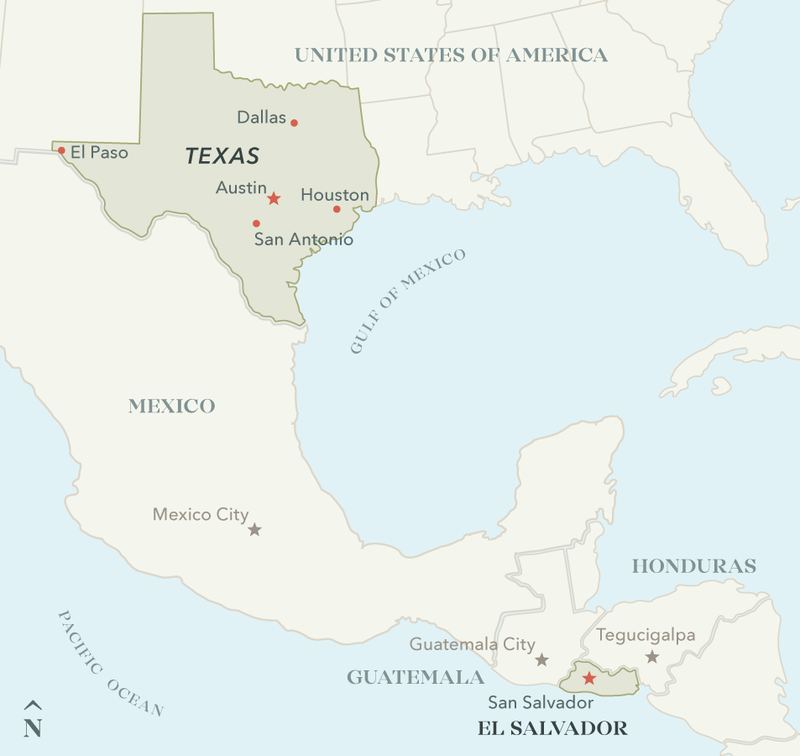 In 2006, Texas Monthly reported the MS-13 was part of an evolving gang population on local police radar. Its presence is believed to be growing as Central Americans continue to flood the Texas-Mexico border and make their way to some of Texas’ largest metropolitan areas, said Rhyne, the administrator for Texas Anti-Gang Center in Houston. “So the level of violence they are able to bring in a physical confrontation is clearly superior,” he said. Steen said he understands thousands of innocent people are fleeing Central America and coming to the United States, but hiding among them he believes are likely gang members fleeing from rivals or law enforcement in their home countries. The gang is also looking to swell its ranks here by recruiting younger gang members, he added. “If you’re wanting to get a person into the United States that is going to do what you tell them to do, that is going to be able to recruit your new members [that don’t] have to be concerned about the higher penalties that an adult, there’s probably no better program to try and send probably as young as 12-, 13-, 14-, 15-year-olds across the border illegally,” he said. That Houston is a major destination for the gang makes sense because of its proximity to the border, Steen said. The greater Houston metropolitan area is home to nearly 1.4 million immigrants, the fifth most in the country, according to the Migration Policy Institute. And about 180,000 of those are from Central America, according to the U.S. Census Bureau. What’s not as clear is why the gang’s membership in Houston has stayed relatively steady for the past few years even as the immigration surge on the border continues. But one thing remains unchanged, according to Steen: The MS-13 is a constant threat.